I drive a Honda Fit when it rains (MR2 is sketchy in the wet) and today I parked with my wheels turned. Ka-Chow! 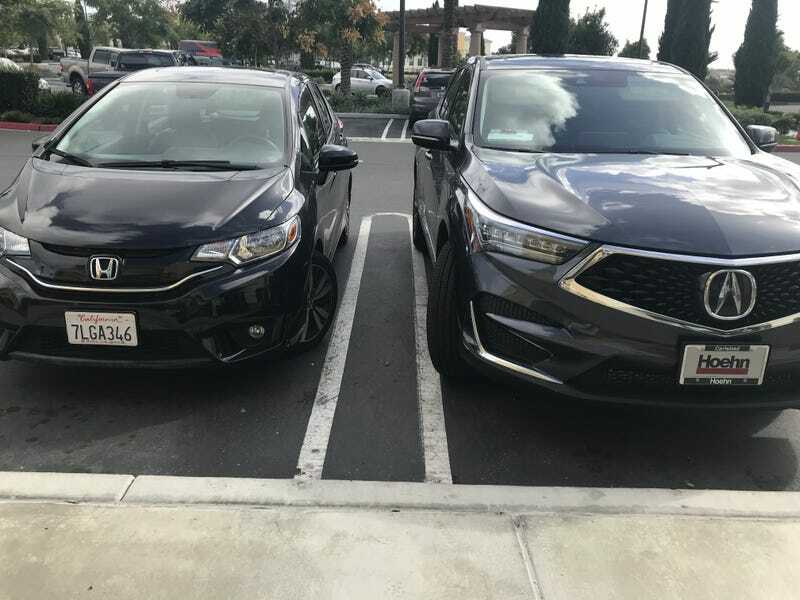 Found this brand new RDX parked just like it. Clearly we need to start a VTEC squad, yo.